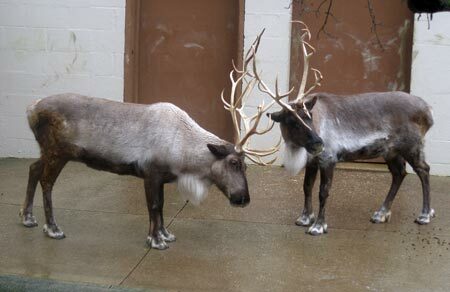 Reindeer aka Caribou at the Cleveland Zoo - Santa's reindeer? Cleveland Metroparks Zoo is an amazing place all year round. Cold weather and even snow will not lessen the experience. Reindeer are a perfect example. They love the snow and cold weather, so a visit to the Northern Trek will give you a tremendous opportunity to watch them revel in the cold. 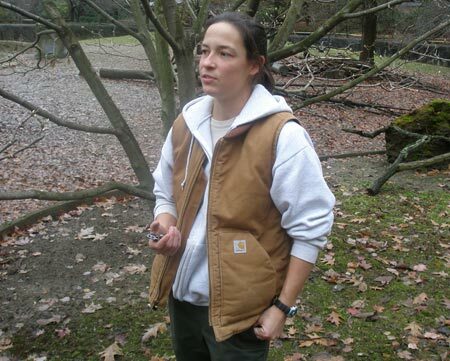 On a recent trip to the Zoo we had the opportunity to speak with Aimee Brown, zoo keeper in charge of among other things, camels and reindeer. There was a lot to learn about Santa's preferred method of transportation. 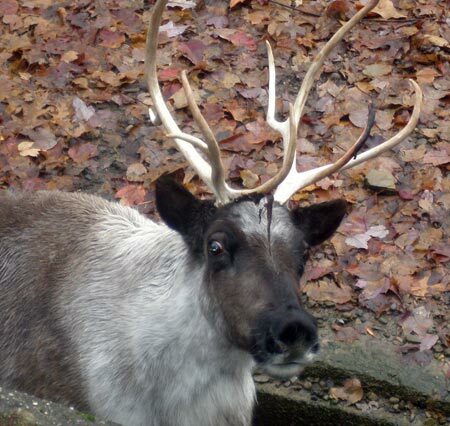 Reindeer and caribou are the same thing. 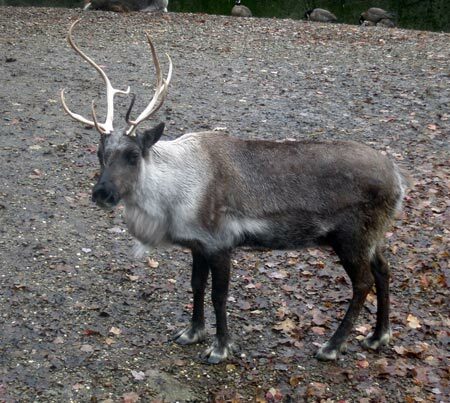 Reindeer is the more common name for the animal domesticated in northern, nomadic lands. They are mammals in the deer family. 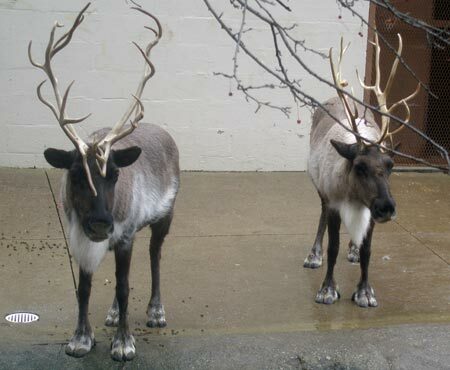 All reindeer grow antlers - male, female - even the young ones (calves). 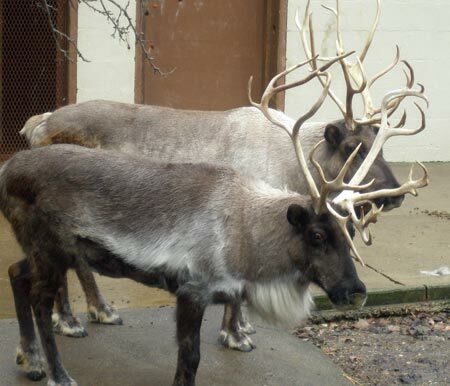 However, they shed the antlers at different times of year. Most males have shed theirs by November. Females will have theirs longer - and into December for sure. 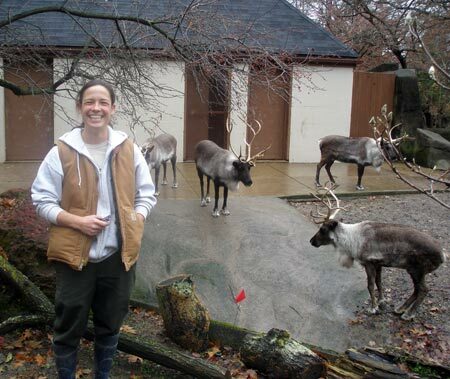 So, the obvious conclusion is that Santa's reindeer are all female! All pictures show the reindeer with big beautiful antlers, and since Christmas comes in December, they simply must be female. The antlers function is mainly to show their dominance. For a reindeer, size does matter. They will lock horns with each other, for what appears to be no reason. In actuality, one is just reminding the other who is boss. It may only last a few seconds, but that is plenty to keep the order of social dominance in tact. 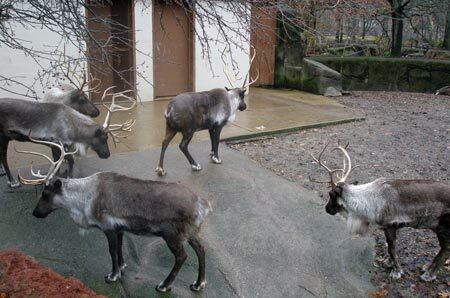 Our Zoo has six resident reindeer - all female. We have not had a male in-house in about two years, but there is some talk of bringing one in soon. 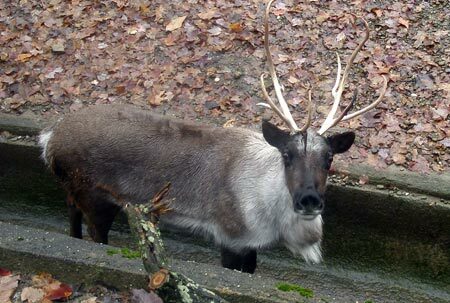 Reindeer in captivity live about 15 years. One of ours, Kirsten, is about that age now. 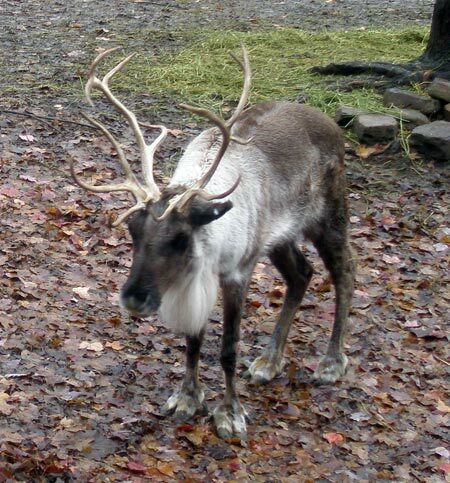 Reindeer are vegetarians unless forced by harsh conditions in the wild to eat a mouse or other small rodent. Reindeer do swim, although they are not inclined to loll around the pool as a polar bear would. That is, except in the summer when they just hate being hot! Our reindeer always have the option of going inside. In the summer it is cooler, in the winter it is warmer. Winter will find them outside and happy. Summer will find them anywhere they think it is cooler - and that includes the water. Aimee tells us that throughout the summer guests to the zoo will run to find her and tell her that the reindeer are in labor because they are in the pool and wailing so loudly. 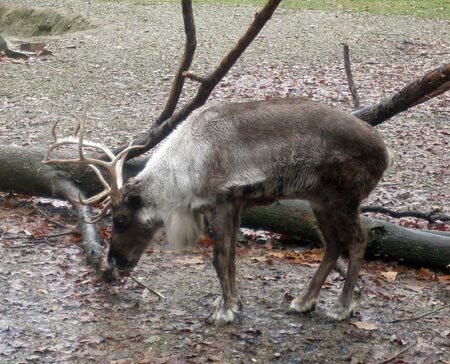 Normally an almost silent animal, the reindeer complain about the heat all summer long and these complaints are what prompt the visitors to think they are having labor pains. 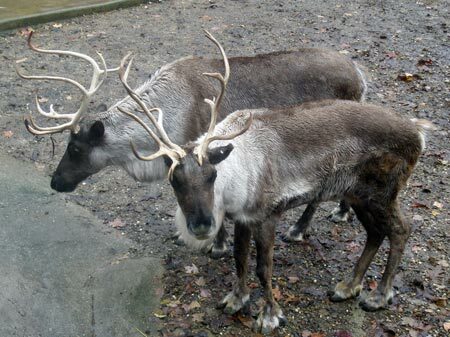 Reindeer will also make a few sounds right after giving birth as a means of identification and bonding with their calves. In general, calves are born in early summer. The average birth will be single, although, like humans, twins are not unheard of. At about 15 pounds at birth, the calves grow quickly and will weigh about 60 pounds within about a month. Within 6 months, they will weigh upwards of 120 pounds. At full weight, the females (cows) will weigh well over 200 pounds and males (bulls) over 300 pounds. One might expect these very large animals to sink into the snow. Their large feet are splayed so that there is even distribution of weight and they can easily walk on snow without fear of sinking. The coat on a reindeer is very dense and dual layered. Close to the skin is the densest part, protecting the reindeer from harsh weather. 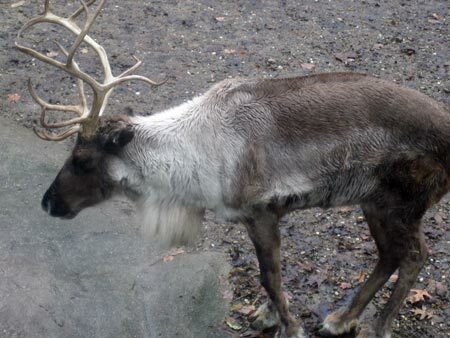 The overcoat consists of hollow hair which allows for more movement as the reindeer travels through snow and ice. Reindeer are truly majestic creatures and do not always get the recognition they deserve. A winter trip to the Zoo is a great opportunity to see these grand animals at their finest. Of course, you will want to stop and see the camels too. And the wolves. And the bear. And the� well, you get the idea. A winter trip to the Zoo is exciting and educational. Try once more before you scroll down to see. 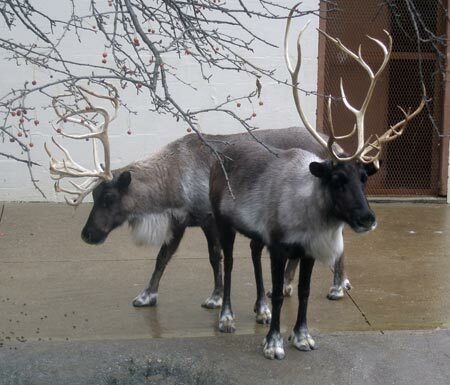 Santa's reindeer are Dasher, Dancer, Prancer,Vixen, Comet, Cupid, Donder and Blitzen. And although he is not one of the originals, you can't forget the 'most famous reindeer of all', Rudolph!